The warmer months are almost here, which means you probably have a spring cleaning action plan for your home, your car and maybe even your gym bag. But what about your business? Running a small business is a bit like maintaining your home. It requires day-to-day tidying, weekly scrubbing, and an annual deep clean. As we all know from observing teenagers’ rooms, keeping on top of the small stuff makes it much easier to handle the rest. 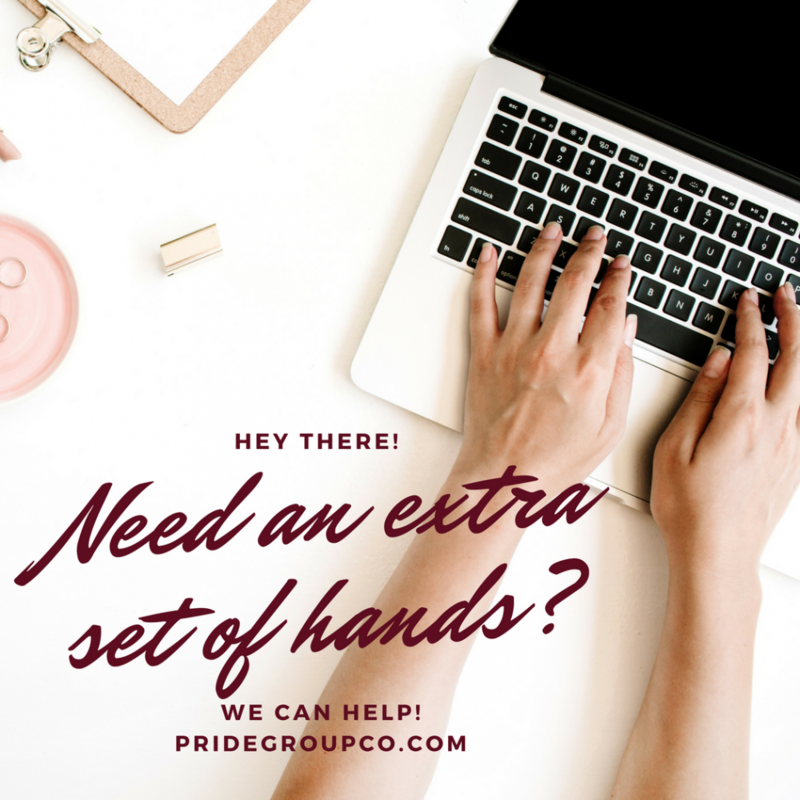 If you’ve been doing the business equivalent of shoving things in the closet or sweeping things under the rug, it’s time to up your game. Here’s a cleaning schedule to help ensure that your business is a shining success all-year round. How you spend today is how you spend your life, and the same applies to business. Here’s what you need to be doing every day. Every small business owner should be monitoring at least three metrics on a daily basis. These may include sales calls, revenues or inventory lists – whatever’s most relevant to you (we recommend monitoring your bank account!). These metrics give you the data you need to keep your business focus and on track. Your customers drive your business, and every day is an opportunity to learn from them. Take time out to speak to them, learn who they are, what they need, and why they’ve chosen you over the competition. Use this to drive your direction – and marketing activities. Whether you work in one place or with a distributed team, you need to be checking in with staff on a daily basis. This gives you insight into how things are going, lets you address issues or opportunities, and makes your leadership visible and real. This can be a simple Daily Huddle – 15 minutes touching base on progress (what happened yesterday) and priorities (the focus for today). Thanks to the cloud, most data can now be backed up automatically – so there’s no excuse for not doing it. Sync your devices, feeds and data, and make sure that you have copies of everything you need. Better safe than sorry! 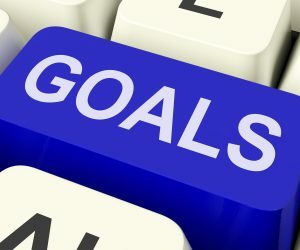 Your goals can be as big or small as you want, but setting them gives you a clear path towards achievement. 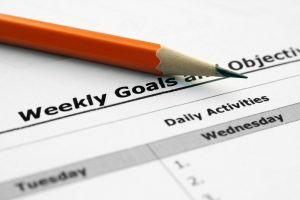 Every day, assign yourself goals and target deadlines, then monitor your progress. This well keep you focused and answerable to yourself – and your business. If you’re the average small business owner, your working week is probably about 60 hours long. Here’s what you should get done in that time. Even if your payroll is less frequent than weekly, you need to be keeping an eye on employee hours in order to avoid any overtime liabilities. Don’t leave this until the last minute on a Friday, as you want to be proactive about protecting your bottom line. There’s value in your brand and your knowledge, so share it! Each week, get your social media posts, blog posts and local business group talks planned so that your brand is getting out there on a regular basis. Highlight launches, successes, goals, learning and big ideas – show the world that you’re engaged, and you’ll get engagement in return. You need to know the field to get ahead of it. Spend time each week studying up on upcoming trends, new developments and newcomers to your niche. Follow industry leaders on social media, keep track of news items with Google Alerts, and be mindful of where your business is landing. Keep learning, and soon you’ll be the one predicting – or even driving – the trends. Cashflow is one of the biggest challenges for a small business owner. If you don’t have a bookkeeper on hand, this all falls to you. Every week, enter your invoices, payments and purchases/receipts into your system – and don’t forget to get those new invoices sent out ASAP! Payments, bills and business plans all need to be taken care of each month. Here’s how to keep on top of things ready for the new calendar month. You may have a bookkeeper handling this, but it’s still a good idea to give your accounts a once over at least once a month. Doing so lets you check for accounting discrepancies – and gives you a reminder of where and why money is coming and going out. If you have time, consider a quick call with your accountant to get their thoughts. Your business plan should shift and adjust as you meet objectives and define new ones. It helps you prioritize smaller tasks and stay on track to hit your business goals. 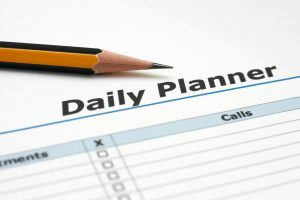 Reviewing it each month lets you review your performance and make adjustments regarding your plans, goals and trajectory. Getting your face out there is a great way to build trust in what you do. Attend events, conferences and local talks to ensure that you’re visible as a small business owner. Connect with influencers, say hi to those new faces, and take note of mutually beneficial relationships. Don’t let those promising leads peter out. Each month, spend some time wooing tentative leads and getting them to convert. Use a mailing list, newsletter, personalized email or even a “special event” invitation to move leads through the sales funnel. Now’s the time to get those tax obligations sorted – and to check in on whether you’re meeting those business goals. Here’s how. Most business plans have a 3-month vision range. Every quarter, set aside some time to evaluate results, refine your approach and readjust your goals. Allocate resources toward achieving them – and a timeframe for success. Get out your P&L statement to gauge how much money you’re actually making. Compare revenues against expenses, and look at whether your assets are on an upward or downward trend. Identify areas where you’re overspending or where margins could be better, and prepare a plan to address this. meeting with your accountant to ensure that you’re meeting your tax obligations – and that you won’t be left owing. Has it been another year already? Take some time to congratulate yourself. Then set to work reviewing the year just gone, and making plans for the year to come. As a small business owner you probably hold multiple insurance policies. 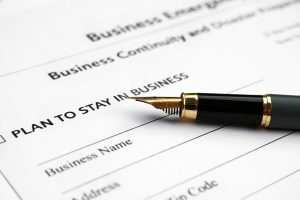 If your business has changed in the past year you’ll need to ensure that your coverage is adequate – you don’t want to be underinsured. If you’ve been keeping on top of your accounts throughout the year you’ve made this a lot easier for yourself. Even so, you’ll need to finalize your accounts for tax purposes and meet with your accountant to start planning for next year. 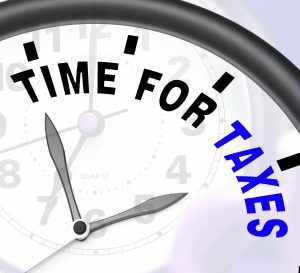 Now’s the time to get those W2s, 1099s, business income taxes and profit sharing tasks sorted out. Take some time to review your annual performance to see how your measured up in terms of your business goals. If you did, then great – use that data to plan for the year ahead. If not, look at your policies, business plans and staff performance reviews to see where you might be falling short. the year ahead. Refer to this year’s plan to see what you can to do ensure success – and draw on trends, successes and strengths to plot next steps. Keep on top of these tasks, and your business will be in tip-top shape. Of course, some literal spring cleaning never hurts, either. Next time you’re in between meetings or have a quiet afternoon, spare some time to recycle old paperwork or dust behind the printer. Your future you will thank you.